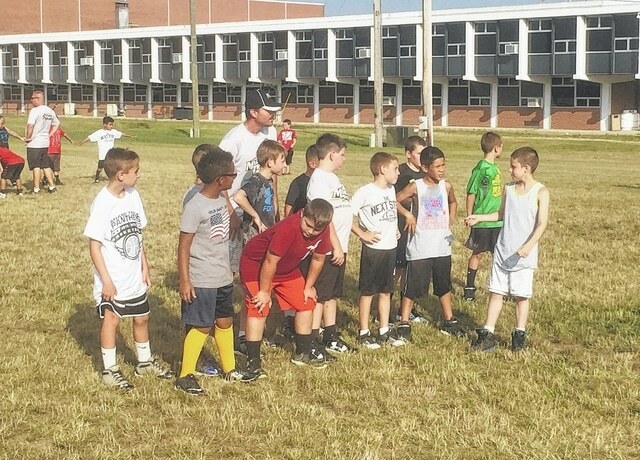 The Miami Trace High School varsity football staff and players, led by head coach Steve Bartlett, put on a successful camp recently for the youth in grades 3 through 6. 2016 will be the first season for the Miami Trace Youth Football Program. https://www.recordherald.com/wp-content/uploads/sites/27/2016/07/web1_MTyouthfootballcampno1.jpgThe Miami Trace High School varsity football staff and players, led by head coach Steve Bartlett, put on a successful camp recently for the youth in grades 3 through 6. 2016 will be the first season for the Miami Trace Youth Football Program.